Writing assessment doesn't exactly have a warm and fuzzy reputation. You probably labor for hours through stacks of essays, marking and grading and wondering if you are "doing it right." Your students meanwhile anxiously wait to see how much red ink their essays will be "bleeding." Such feelings don’t have to define your writing classroom. You can apply a few simple dos and don'ts to develop a classroom culture that views writing assessment with a growth mindset. Effective writing assessment begins with clear expectations. Students need to know what strong writing looks like and how their writing will be assessed. To set expectations, introduce your students to the traits of effective writing. 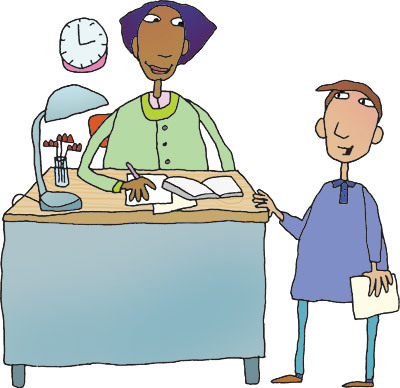 With younger students, you can use a simplified version of the traits called the qualities of writing. Imagine trying to build a two-story tenement building on a one-story community-theater stage—all on a tight budget in two weeks. That's a problem a friend and I recently faced. First we planned our work: I designed a structure with shortened stories, and my friend turned my pencil sketches into 3D CAD drawings. Then we worked our plan, framing walls and floors, removing low-hanging lights, and installing pool noodles around rafters to keep actors from hitting their heads. When we finished, the director was thrilled. The show even had a couple linebackers singing songs from the second-story windows. That's the power of problem solving. Did you notice the dynamic between my friend and me? I love to think creatively, and he loves to think analytically. I came up with the broad strokes of the design, and he made sure all the details worked. Left alone, I would have come up with a grand vision and been unable to bring it to life. Left alone, my friend would not have known where to begin. Critical and creative thinking have to work together to solve problems. 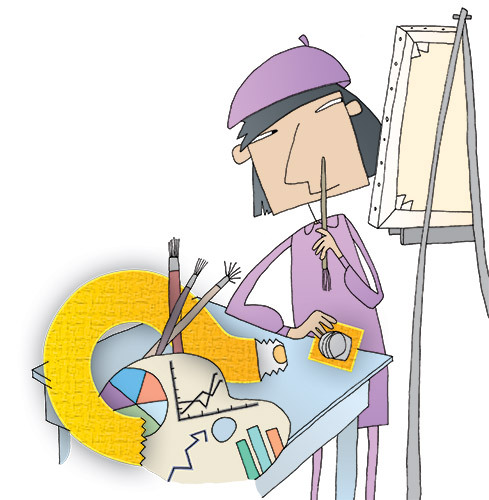 Can Artistic Thinking Spark Creativity in Your Classroom? None other than John Dewey, one of the most influential voices in the history of modern education, suggested that art should be the center of education, rather than a “nice embellishment.” Why did Dewey place so much value on the discipline of art? And why did he feel that the artistic process is so essential to learning? In Mind Matters: Teaching for Thinking, authors Dan Kirby and Carol Kuykendall answer these questions. They explain that developing a piece of art requires close observation, attention to detail, sensitivity to pattern and form, and selectivity. In addition, the authors refer to an artist’s unique ability to get up close to his or her work, of opening up the senses, and of doing and undoing elements, time and time again. Continue Reading >> about Can Artistic Thinking Spark Creativity in Your Classroom?